Social Life – LD is a social skills training program designed for children with learning disabilities and related disorders who show signs of difficulty with social skills and social relationships. Our research showed that it was effective with 9 to 13 year old children with learning disabilities in special education classrooms or resource rooms. We think it will also be useful for children with other disabilities (eg. Asperger disorder, specific language impairments, ADHD, and high-functioning autism), and children with learning disabilities in clinical settings. The program is in the form of a board game that can be played with 3 to 4 children and a teacher or therapist. 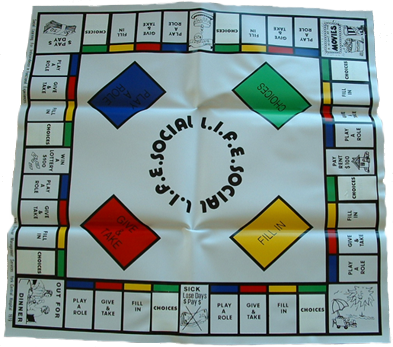 With the exception of the actual game board, all of the materials for the program (manual, database of social problems) can be accessed using the links below. For instructions as to how to order the game board, please email: adhdldresearch.oise@utoronto.ca.